Who doesn’t love a weekend away? A few days to unwind and forget the mundane chores at home and in my case, the bathroom that needs a paint job! Excitement rises as I think of the breakfast bar but then mild panic sets in at the thought of packing and getting it right. As a family we have made some real clangers at Check In and even later when reaching security. On one occasion, as a toddler, my daughter had decided to slip in my hefty cutting scissors into her own little case, causing a bit of a stir and loss of my trusty tool, so I now try and be far more organised. Lay your items out on your bed and then reduce by a third. For a weekend trip avoid taking the ‘just in case’ options. Arrange outfit ideas with accessories needed for each look and take asnapshot to remember. Fold and Roll – no, not an exercise move but a packing suggestion for items like T-shirts, sweatshirts and jumpers which means you can fit them around the edges of your case. Smarter items, like cotton shirts, trousers and jeans are better folded around each other to help avoid creasing – known as the ‘bundle technique’. 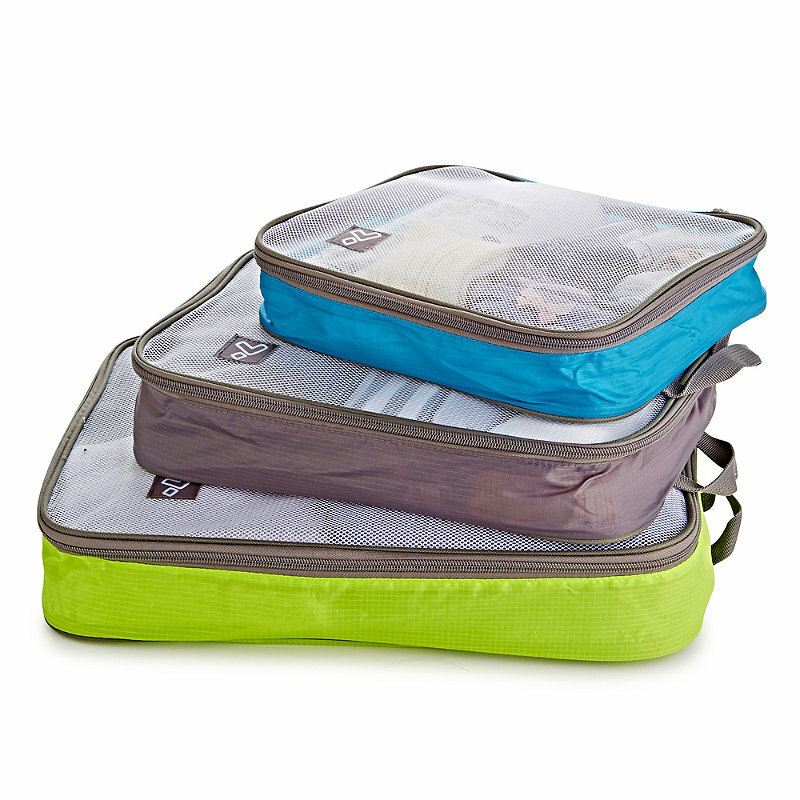 For those who like more separation, Lakeland’s Packing Organisers offer a simple solution inside your case at £20.99 for three. Belts are better unrolled and slipped in around the perimeter of the case. Well before travelling, start collecting trial and sample sizes as it’s often the wash bag that just won’t fit! 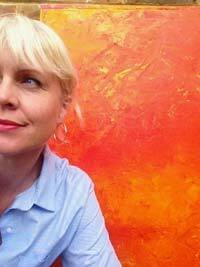 A few creative layers that I found on Pinterest, for day to evening. Check the weather forecast for the time of year you are visiting – how likely is a rain cloud – is an umbrella a must or will a rainproof jacket be enough for light showers? A capsule collection is key to travelling light, one colour palette that means you can make more outfits out of a few items. Scarves are a space-saving item to make the changes and add a pop of colour. 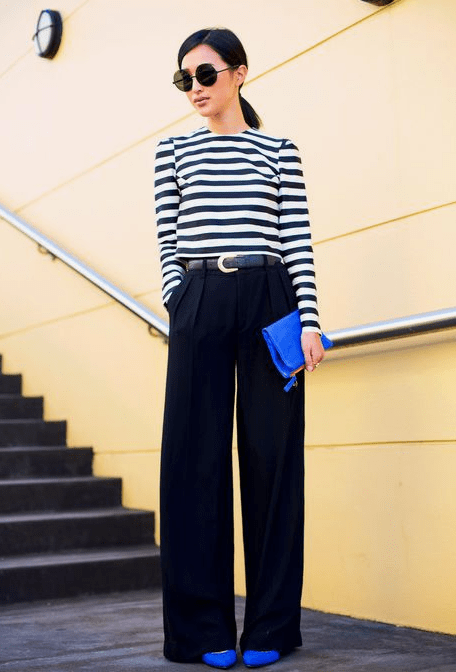 A selection of tops will make far more impact than lots of bottom halves – so just a couple of pairs of dark trousers or jeans are useful for day and into the evening. Comfy footwear is an essential, of course, but make sure they are tried and tested, not brand new and likely to cause blisters! A small cross over bag will not only be a safer option but it distributes the weight for all-day sightseeing, just reduce what you need each day to small bag necessities. A lightweight cosy sweater is a useful layer for cooler mornings, rolled into a scarf for breakfast chill, through jeans loops for afternoon strolls and then diagonally across the body for early evening cocktails. 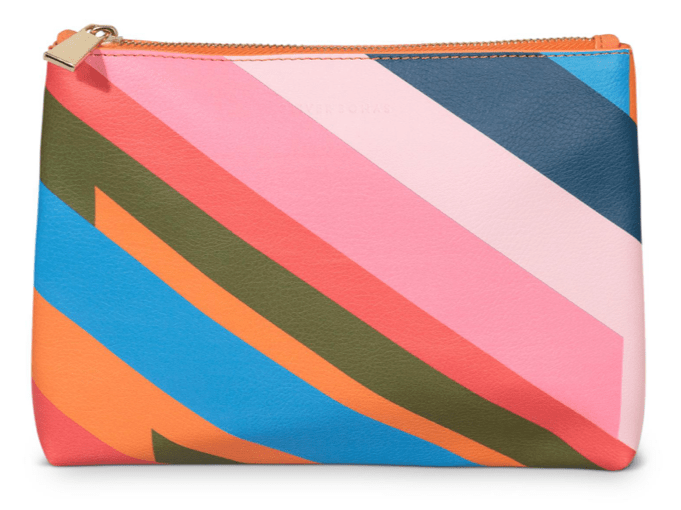 A waterproof lined pouch like this one from Oliver Bonas, is great to transport make-up and becomes a cheeky clutch on a night out. For comfortable feet inside trainers, I love Ecco bamboo footsies, £7.99, breathable and dry all day. One lightweight overcoat should be enough for smarter day and into evenings, something like a trench coat that layers over a denim jacket too. 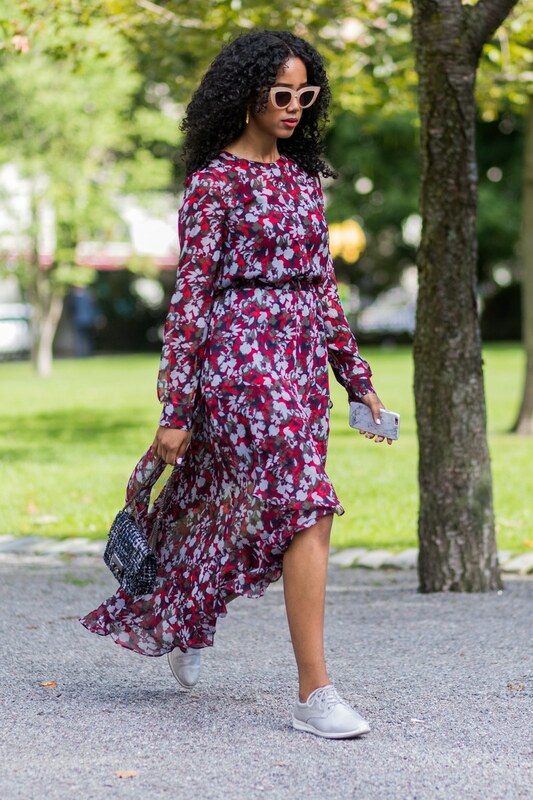 Remember a dress can be a perfect day-into-evening item, dressed down with trainers and a denim jacket for day and a metallic belt and ankle boots added for evening. 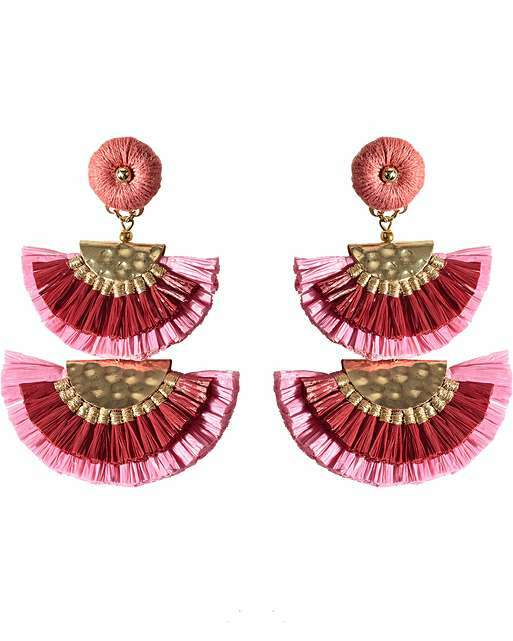 One or two statement pieces of jewellery will add a simple change; go bold like these raffia drops from Oliver Bonas. * The simple sock can be used to ‘bag up’ cables and adaptors. * Fill shoes with rolled socks/ underwear and use to protect sunglasses. * Avoid easy creasing fabrics that will need ironing on arrival. * Add your contact details, visible inside the bag and tagged outside. * Wear larger items like ankle boots or trainers and pack the slip-ons. * If in doubt, double-wrap your toiletries to avoid a mess on arrival. * A cotton bag is useful for storing ‘to be washed on return’ items. * Remember, to reduce your make- up bag, take out Christmas sparkles. * Keep your medicines in a separate easy to reach plastic bag. * Try and leave a little breathing space for purchases made.